Best Roofing Services - Roofer based in Wolverhampton, West Midlands. 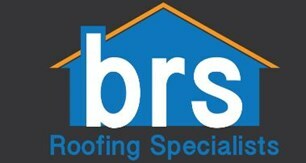 Hi there, you're on my profile for best roofing services very proud in all we do. We worked hard over the years to get where we are today. We've been in business now for 10 years and I was taught by my dad previously. I worked for him for 10 years so a total of 20 years' roofing experience not just in one field of roofing. We specialise in every aspect of roofing. We eat sleep and drink roofing and look forward to your call to assist with friendly, professional advice and free quotations.